Benoit Jacquot (born Feb. 5th, 1947 in Paris) started out in the early seventies as assistant director on Marguerite Duras' Nathalie Granger (1972) and India Song (1975). Over the following thirty years, Benoit Jacquot has built up an impressive œuvre of psychological dramas, novels and stage plays adaptations and television documentaries. 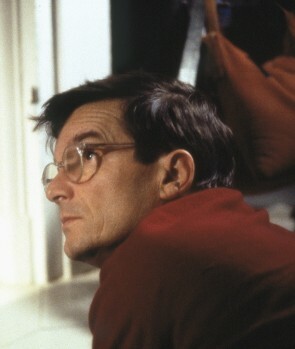 He made his fiction feature début with an adaptation from Dostoyevsky, L'Assassin Musicien (1976). From the mid-nineties on, Benoit Jacquot directed several films in which women face existential questions, with principal performances by, among others, Isabelle Huppert (L'École de la chair, 1998, La Fausse Suivante, 1999), Virginie Ledoyen (La Fille Seule, 1995), Isabelle Adjani (Adolphe, 2002) and Catherine Deneuve (Princesse Marie, 2003). In his most recent feature, L’Intouchable (The Untouchable, 2006), actress Isild le Besco returns in a leading role after starring in À tout de suite (2004) and with Daniel Auteuil in Benoit Jacquot’s Sade (2000).